Hearing loss affects roughly 48 million Americans, according to the American Speech-Language-Hearing Association (ASHA). Individuals can suffer from three types of hearing loss, which are characterized by the part of the auditory system that is damaged. The three types of hearing loss include sensorineural hearing loss, conductive hearing loss or mixed hearing loss. Sensorineural hearing loss occurs when the inner ear is damaged. According to ASHA, it is the most common type of permanent hearing loss. Sensorineural hearing loss also happens when the nerve pathways from the inner ear to the brain are damaged. This type of hearing loss is typically more severe as it cannot be medically or surgically corrected. People with sensorineural hearing loss cannot hear faint sounds; even when speech is loud enough to hear, it may be muffled or unclear. Conductive hearing loss occurs when sound fails to be conducted efficiently from the outer ear canal into the eardrum and into the middle ear. Unlike sensorineural hearing loss, this type of hearing loss can often be corrected medically or surgically. People with conductive hearing loss usually cannot hear faint sounds as well. 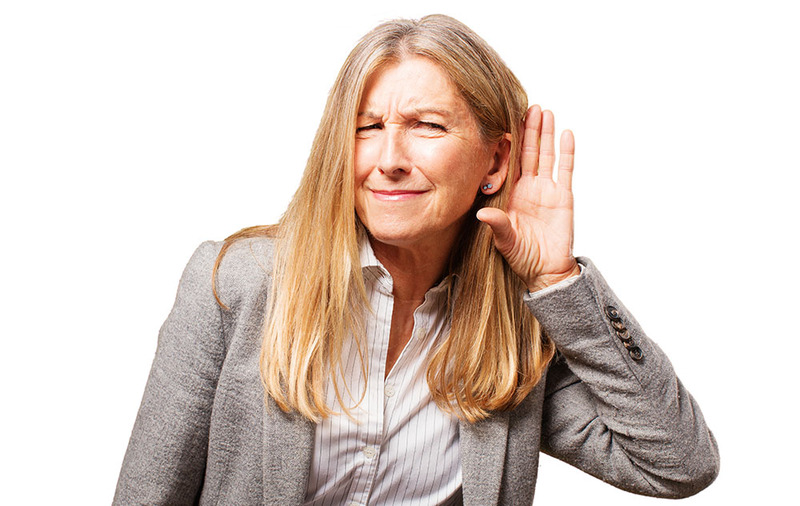 Some people suffer from a combination of both conductive and sensorineural hearing loss. In these cases, people may have damage in both their inner and outer ear or auditory nerve. If you think you have hearing loss, consider making an appointment with an audiologist. Your audiologist will take a medical history, including any medications you’re on or any trauma you’ve suffered. After collecting that important information, your audiologist will perform a variety of painless and non-invasive hearing tests to determine if you’re suffering from hearing loss. If you do have hearing loss, your audiologist will work with you to determine not only the best treatment for your hearing loss needs, but your lifestyle and budget, as well.